Please email Coach McNiece, or call 217-862-4653 if you are interested in any of the following sports programs. Football – Done in cooperation through Brazos Valley Christian Home Educators Association. Students may begin participating in Junior High Football if they are 11 by Sep 1st (typically 6th grade). Cost of participating is approximately $425 for the first season and $225 for subsequent seasons. Practices begin early August and go through early November. Volleyball – Done in cooperation through BVCHEA. Students may begin participating in Junior High Volleyball if they are 11 by Sep 1st (typically 6th grade). Cost of participating is $100 for junior high players and $150 for high school players. Practices begin in early August and go through late October. 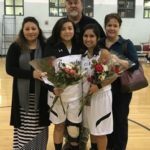 Cheerleading – Done in cooperation through BVCHEA. Students may begin participating at any school age. Practices begin early August and go through early November. Cost of participating is approximately $75 to participate. 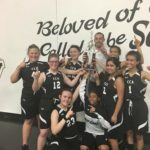 Basketball – Students may begin participating in basketball in 5th grade for both boys and girls.Basketball season begin in early November and goes through mid February for junior high teams and early March for high school teams. Cost of participating is free for Cornerstone junior high students and approximately $50 for Cornerstone high school students depending on shoe cost. Cost of participating is $60 for homeschool junior high students and approximately $110 for homeschool high school students depending on shoe cost. Track & Field – Students may begin participating in Track and Field in 5th grade for both boys and girls. 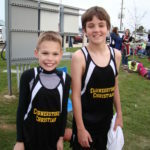 Track season begin in early March and goes through mid April for junior high teams and early May for high school teams. Cost of participating is $40 for Cornerstone junior high students and approximately $100 for Cornerstone high school students depending on number of meets attended. Cost of participating is $100 for homeschool junior high students and approximately $160 for homeschool high school students depending on the number of meets attended. Baseball – Done in cooperation through BVCHEA. 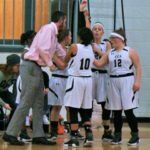 Students may begin participating on high school team in 8th grade. Cost of participating is $350 for players and the season begins in February and goes through late April. 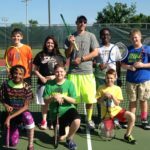 Tennis is offered to students 5th grade and up. 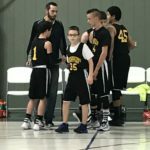 It is more of an intermural program that introduces the kids to the game and allows them play for fun and compete with each other. The cost is $60 for homeschool students and free to Cornerstone kids. Practices are held at Bee Creek Park after school till 5:00 starting in the month of April and last till the end of school.